The Kerrie Show: Have Your Next Birthday Party at Sky Zone Kansas City!!! Have Your Next Birthday Party at Sky Zone Kansas City!!! **Please check out my full review here where I talk about our experience! Sky Zone is the world's first indoor trampoline park. We're the inventors of "fun fitness" and the makers of trampolines as far as the eye can see. We give you one of the greatest workouts ever combined with awesome, healthy fun. We've been voted the number one "out of the box" workout and the "best party ever." Experience WOW - the weightlessness of bouncing, flipping and landing in a pit filled with 10,000 foam cubes. We are dedicated to providing you with the pure joy that comes with flying. We are sky lovers, thrill seekers and people who believe that jumping is freedom. We believe fitness can be fun and play can be smart. We are healthy and bursting with energy. We fly high and keep it safe. We are Sky Zone. 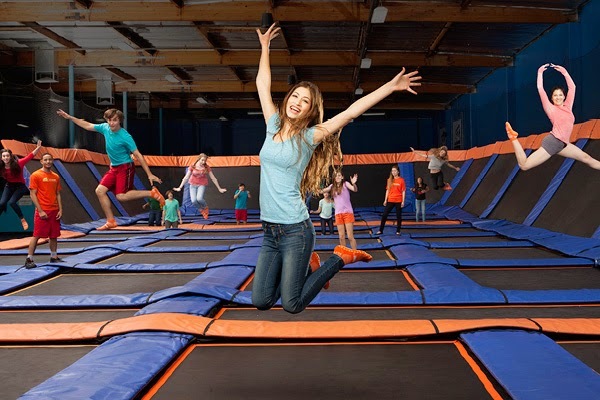 My Readers Save $3 Off Open Jump at Sky Zone and 10% Off a Supreme Birthday Party. Click on the Sky Zone coupon here for more information and to redeem.